This week, archaeologists dug up some coins in Japan that originally came from Ancient Rome. To say the scientists were stunned by the discovery would be a severe understatement. The coins were unearthed at a castle site on the island of Okinawa and archaeologists are dating them somewhere between 300-400 AD. 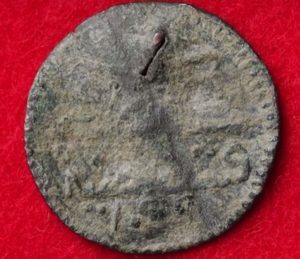 The scientists are mystified by the find as it is the first time Roman artifacts have been found in Japan or any other place that is so far away from Europe. Another mystery that the scientists are trying to figure out is how the coins ended up at a castle that was built in the 14th Century and then totally abandoned in the 16th Century. A total of ten copper and bronze coins have been found at the site so far. When x-rayed, the coins revealed a possible likeness of the Roman emperor, Constantine, as well as Roman lettering. The castle had originally been built and lived in by a warlord who was trading extensively but it is unsure whether his trading went as far as Europe and the Roman Empire.